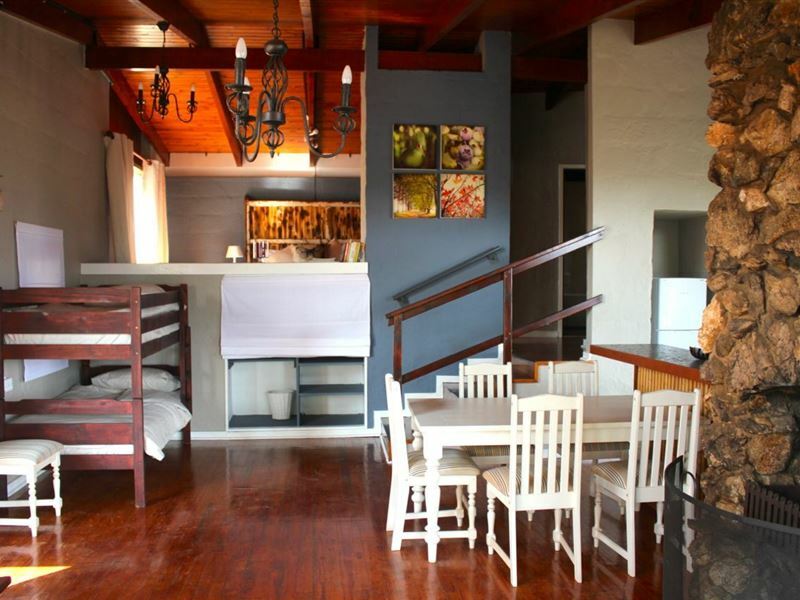 Turaco Farm Cottage is a cosy self-catering cottage ideal for a couple or small family. 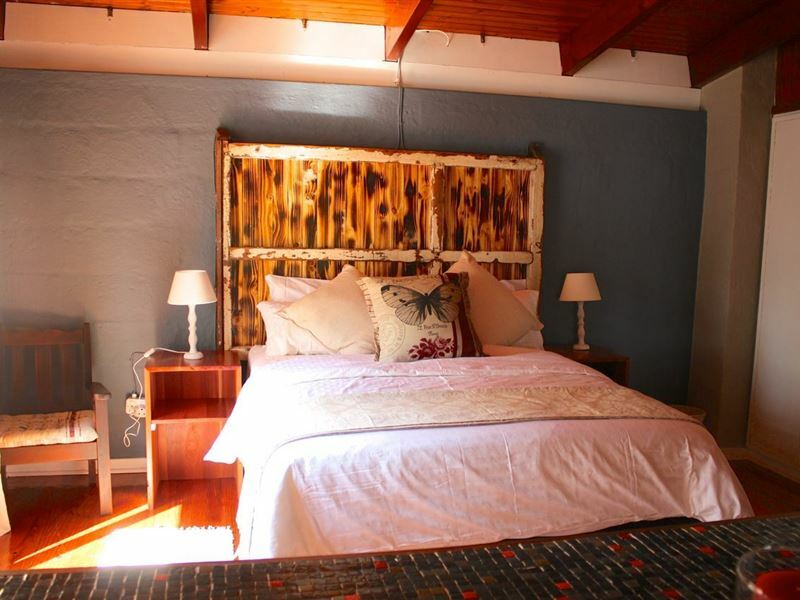 It is located on an organic blueberry farm in the heart of the majestic Magoebaskloof Mountains, in a unique land of mountains, lakes and forests.A big stone fireplace forms the heart of this 50 year old cottage on Blueberry Heights Farm. This is the perfect place to escape the hustle and bustle of life for a couple of days of country living on our organic farm. 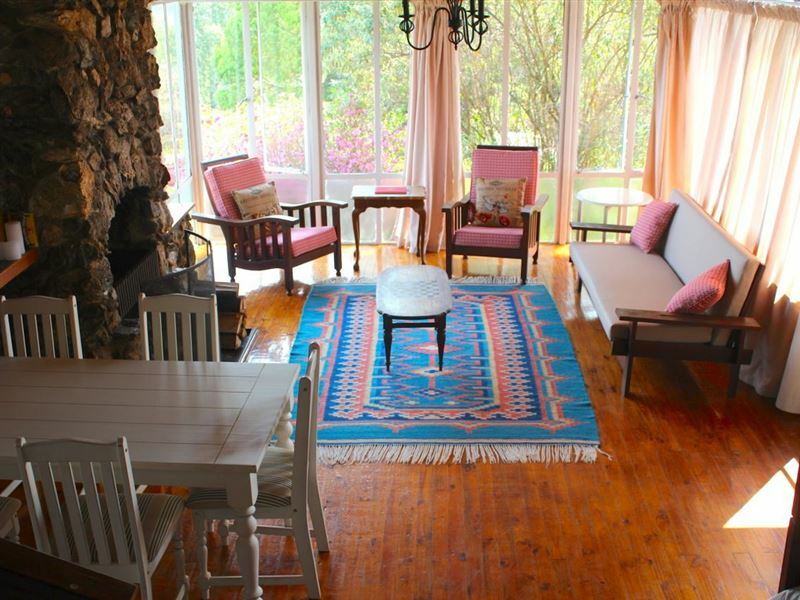 A cosy self-catering cottage with a lovely fully equipped kitchen and a large lounge with a wood-burning fireplace.The farm cottage has lovely views over Ebenezer Dam and is only a short distance from Haenertsburg village. 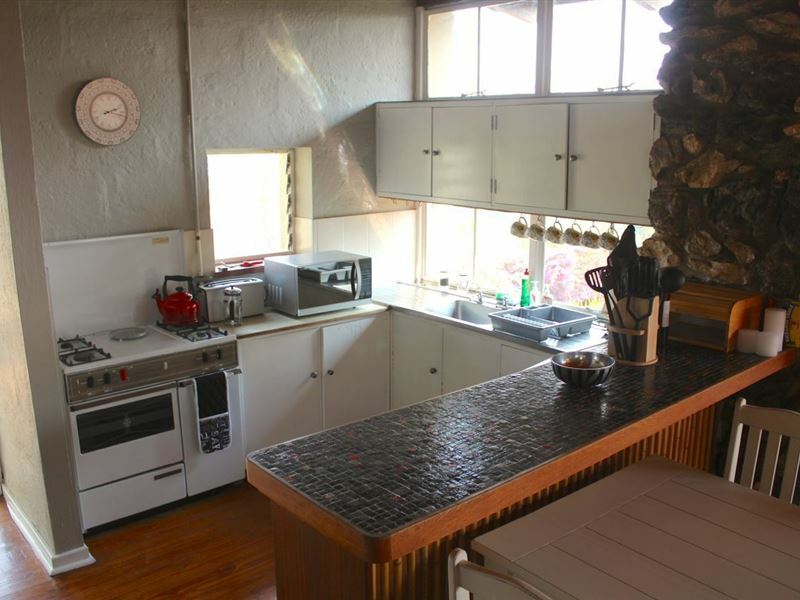 It is situated next to the main farm house where the owners stay but it has its own private parking and private deck with views overlooking Ebenezer Dam. "Gorgeous flowers and beautiful vistas"
"The view was breathtaking but the braai was dirty and the cusions on the bed smelled a bit damp." "Scenic lakes and forest walks on a blueberry farm"
"Enjoyed our time at this farm with its scenery, waterfall, forest walks and beautiful azalea flowers. The owners were friendly and arranged a tour of the blueberry and kiwi orchards which we all enjoyed. The cottage was comfortable and clean with thoughtful touches like a selection of books and board games. Could have been better kitted out, e.g. no salad bowl, and we were short of toilet paper one day. Mountain Cafe was great (but service can be improved). We had a few security concerns, as there is no access control at the farm." "The view is out of this world, relaxing stay, host are very friendly and the cottage is the best with the fireplace etc." "Awesome cottage on a beautiful farm, lovely view, a great selection of books and borad games, easy access to the village and the best eating soot was only about 200m away. We miss it already!" "A lot of ants inside the cottage.Roof is leaking during the heavy rain.The property needs a bit of care and maintenance. The view from the cottage was stunning." "The view is heavenly and adds to the peacefulness of the cottage and farm"
"Jonathan and Jean made us feel so welcome in their beautiful farm. The cottage was originally a residence and it feels that way. Walks on the farm are plentiful and our dogs loved exploring. Swimming in the Stanford Lake on the farm was truly a treat. Don&apos;t miss blueberry picking and blueberry pie made in the farm! The Mountain Cafe restaurant on the farm serves absolutely great tasty food and the owners are so friendly and welcoming too!" "Such a lovely cottage with stunning views. The flowers started to blossom, what a sight to see! We enjoyed our stay, location is central if you want to explore the Magoebaskloof area. Will definitely recommend this cottage." "We arrived quite late on a Friday night, it was absolutely freezing and we were met with warm friendly faces and a beautiful old stone fireplace waiting to be lit with plenty of firewood available. Jean and Jon are the most accommodating and friendly, caring people I have ever met in my history of staying in guest cottages and they really do go out of their way to ensure you have everything you need. We even had a jug of fresh blueberry cordial waiting for us in the fridge which was such a treat! Waking up on Saturday was exciting because we got to finally see the views this gem of a cottage has to offer. 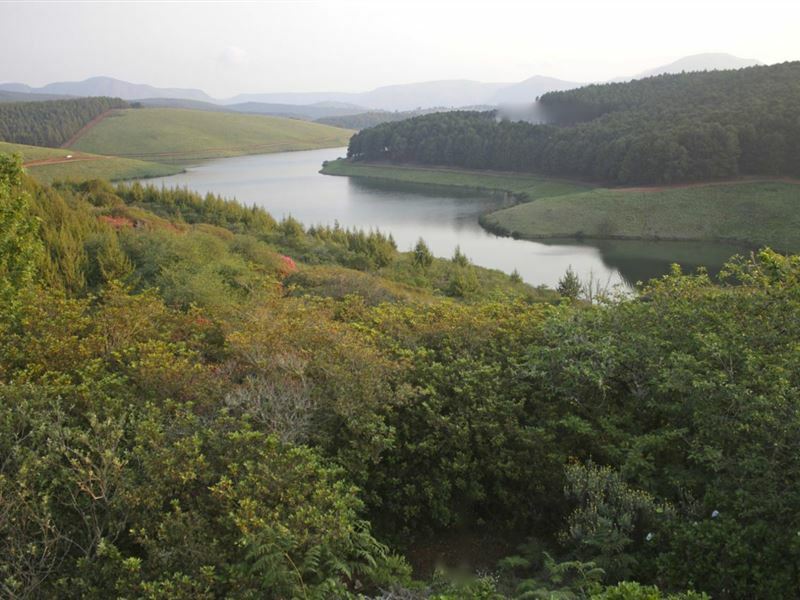 we were blown away with the surrounding hills, forests and of course a stunning view of the Ebeneze dam. Even just exploring the farm full of different plant and tree species and secret pathways was enchanting enough itself. The farm also boasts a beautiful waterfall which you can hear faintly from the balcony. We were very lucky because Saturday was full of sun and crisp clear skies offering a full view of the surroundings however Sunday was overcast, rainy and fog blanketed the entire farm - this gave us an opportunity to witness just how beautiful this farm can be no matter the weather. There is an amazing short drive to Tzaneen via the Magoebaskloof mountains and a beautiful hiking trail in Haenertsberg which is what we did during the sunny weather. On Sunday we got to explore the farm and surrounding farms on our mountain bikes which gave us the opportunity to see the forests, surrounding dams and lakes and some beautiful wildlife. The farm also offers some homemade organic blueberry products and local honey which are absolutely delicious, we couldn&apos;t walk away without a handful of each. It was very difficult for us to find a cottage this beautiful that was pet friendly as well. Jean and Jon have a gorgeous dog themselves who is super friendly and energetic - the two pups were inseparable for most of the weekend. if you have not been to visit this farm already, you are most definitely missing out on one of the most beautiful, green and enchanting places I have had the privilege to stay at that is not too far from JHB. Book now!!!" "We had a great stay at Turaco Cottage. Jonathan and Jean made us feel very welcome. The cottage was clean and appealing. Lovely views. Also highly recommend the Cafe for some locally made, organic blueberry produce."